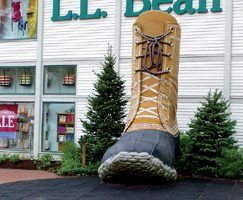 The giant boot at LL Bean flagship store in Freeport, Maine. 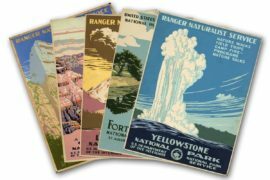 Being a semi-delicate urban girl whose Brownie troop appeared in a local paper with the headline, “City Girls See Cow,” I never thought I’d be taken over by a desire to take up fly-fishing, wear rubber boots or sleep in a folding hammock. But that I did when I visited the campus-sized flagship store of L.L. Bean in Freeport, Maine. 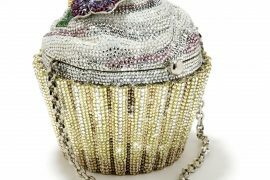 My tote-bag and my kid’s years of backpacks proved I was no stranger to the world of Bean, but I was clueless about the vastness of its empire. As I wandered from department to department fantasizing about my new outdoor life and accompanying wardrobe, I was overwhelmed by the sheer size of the store, the seemingly endless variations of outdoor clothing, the older and every-helpful sales staff and the fact that you can buy lobster-shaped Gummi bears. But LL Bean is much more than just a purveyor of army knives, rustic home furnishings and sturdy clothing. The flagship store in Freeport also hosts a free summer concert series, fireworks on July 4th and a myriad of expos throughout the year. 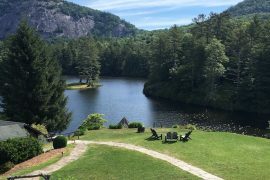 I was most intrigued by their Walk-on Adventures, offered at several locations, where you can just show up, pay $15, and try out activities such as kayaking, snowshoeing, cross-country skiing, clay shooting, archery and sporting clays. They supply the gear and expert teachers provide instruction. After a stroll through most of the store, I made my small purchase – a postcard of the enormous boot that celebrated LL Bean’s 90th birthday in 2007, and some chocolate-covered Maine blueberries. The King Pine Dome Tent for six just wasn’t going to fit on the plane. With a while to wait for my ride, I wandered into the new 1912 Cafe. Just opened in April, the café sells sandwiches, soups and salads made with local, organic ingredients and wrapped in biodegradable packaging. Try the Hen and Jen, a delicious turkey wrap with artichokes, sundried tomatoes and a pesto mayonnaise. If you have a chance, and a few hours to explore, visit the LL Bean flagship store. Don’t bother calling ahead for hours – they took the locks off the doors in 1951 and keep the store open 24/7/365. All the better to satisfy those late-night kayak cravings.